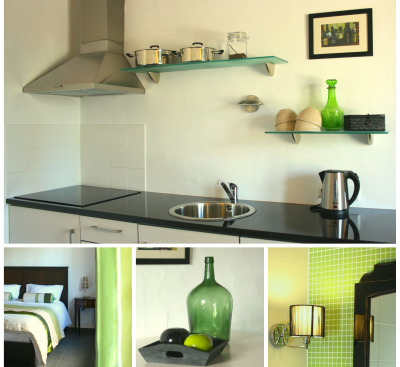 Quinta da Olivia has 6 spacious guestrooms and 2 one-bedroom apartments, all individually decorated in Portuguese themes. The modern amenities provide for a comfortable and relaxing stay. Each unit has its own patio with great views of the citrus orchard, swimming pool and farm land. The main house has a lounge area and breakfast room. The B&B has free WiFi internet access. While staying at Quinta da Olivia, you can pick your own fruits or nuts, there is always something in season. At breakfast we serve you homemade items from our own orchards. Each room has a private entrance, heating/ air conditioning, its own bathroom and a double bed (160×200cm). The rooms are suitable for 2 people. In some rooms an extra single bed or baby package can be arranged for 20 € per night. 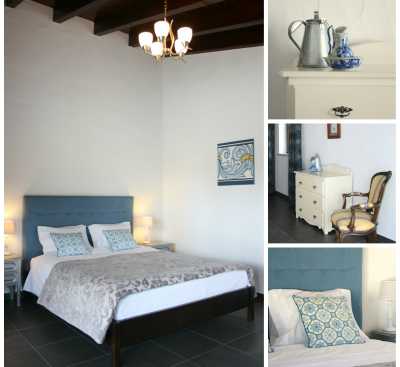 The rooms have B&B-service, with daily cleaning and breakfast in the main house. Each apartment has a private entrance, heating/ air conditioning, a bathroom, a bedroom with double bed (160×200cm) and a living room with kitchen, dining area and seating area with sofa-bed (140×180cm). Each apartment is suitable for a maximum of 4 persons. The apartments have regular cleaning depending on the length of your stay.